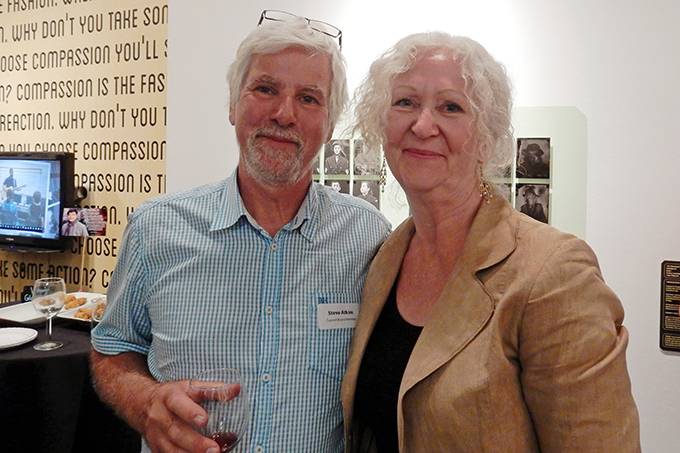 ArtStarts held its AGM this month. The current Board of Directors was joined by several past Board members, including some who founded the organization back in 1996. We shared our Annual Report for 2015, which was a wonderful opportunity to look back highlights and accomplishments from the past year. Please read the online version below to (re)discover the impact we have had on young lives across BC. Of course, these successes are not our's alone. We sincerely thank our supporters, as well as the many artists, educators, administrators and other arts champions across the province who make it possible for ArtStarts to thrive. At the AGM, we also took the opportunity to celebrate two Board members who are stepping down after many years of service. Thanks to Charlotte Ensminger, who has been part of the Board for four years, and Steve Atkins, who completed seven years on the Board. We thank you both for generously sharing your talent, expertise and passion, and for your dedication to moving ArtStarts' mission forward.